The cave arts give clear evidences about how our ancestors live in tens of thousands of years ago. 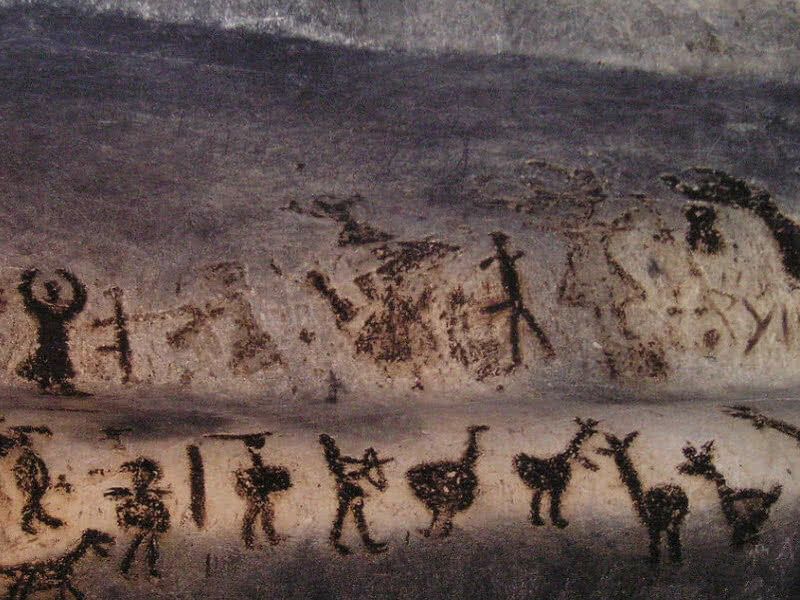 Cave paintings represent about different hunting techniques, social life, different beliefs of that time. Scientists keep exploring new cave arts from different parts of the world. 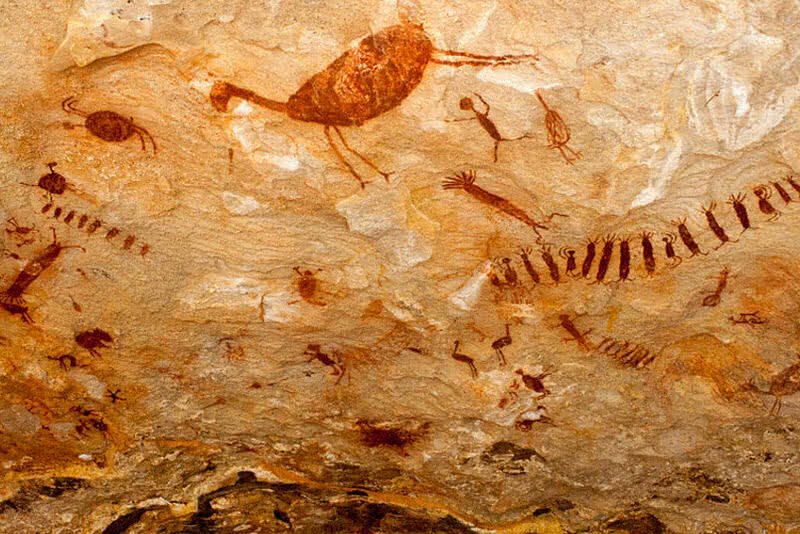 The Followings are 9 amazing cave paintings across the world. Laas Gaal is a popular archaeological site located in Northwestern Somalia that contains a series of granite caves. The Neolithic paintings within the caves dating back to 8000 – 10000 years. Laas Gall cave paintings were discovered by a French archaeological team in 2002, during an expedition in searching for caves and rock shelters in the site.The Laal Gaal cave paintings are considered as some of the best preserved cave paintings in Africa. They survived natural weathering, wars and activities of humans and animals intact. Laas Gaal complex contains eight ancient caves in total. Most of rock paintings are housed in the first cave of the site. The paintings represent wild animals and cows accompanied by the inhabitants of that time. Some of cow paintings are also decorated with ceremonial robes. The remaining caves at Laas Gaal once used as living quarters and a prison. Today Laas Gaal is one of the most popular tourist attractions and an important archaeological site in Somalia. The cave paintings in world heritages listed Serra DA Capivara national park of Brazil is the oldest known art in South America. 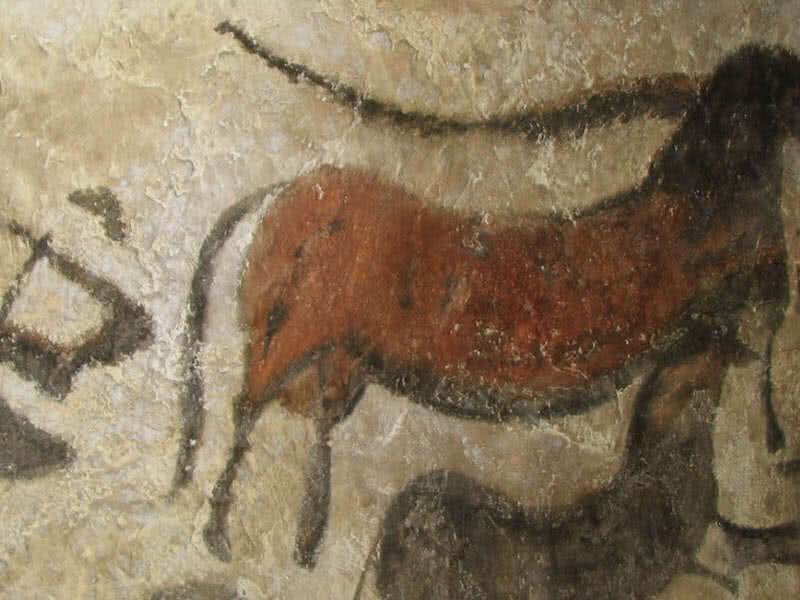 Many of prehistoric paintings in the national park date to around 25000 years ago. The rock arts in the site display various shades of red. They represent hunting, dancing and figures of humans and animals. 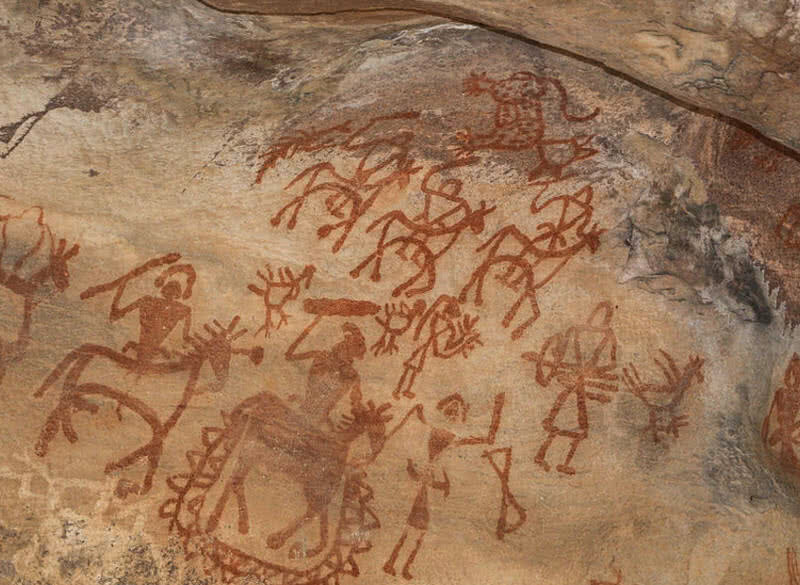 The rock paintings in Serra DA Capivara national park also the earliest evidence of human civilizations in American continent. Bhimbetka rock shelters in Madhya Pradesh state of India housed the collection of one of the oldest cave paintings in the world. Bhimbetka contain 700 rock shelters discovered by Indian archaeological scientist V.S Wakandar in 1957. The caves deliver evidence of earliest human activities in Indian sub continent. They also display outstanding rock paintings from the Mesolithic period (10000-5000 B.C). UNESCO also declared the site as a world heritage site in 2003. Some of rock arts in the site considered to be 30000 years old. There are also paintings from the medieval period (Between 5th and 15th century). The paintings survived weathering and other factors intact because most of them were made on the inner walls of the caves. Some of paintings can be seen even on the roofs of the caves. 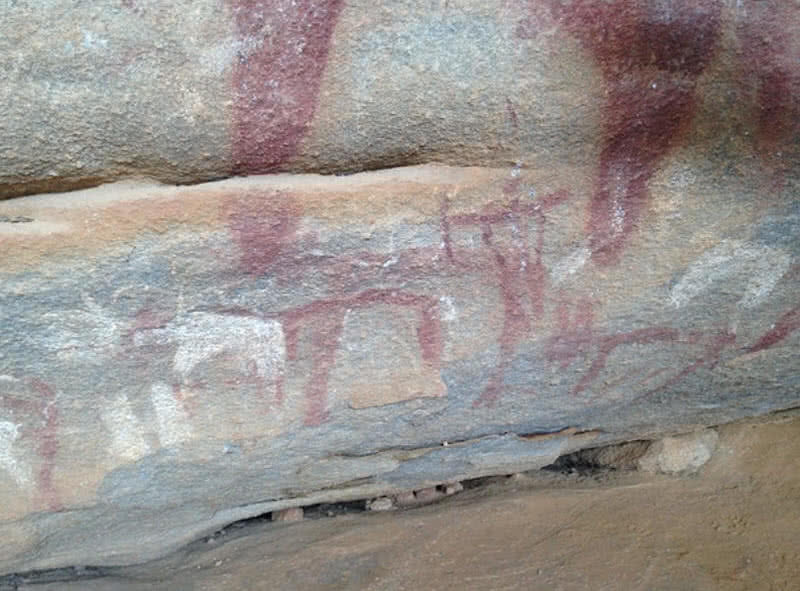 Majority of drawings at Bhimbetka rock shelters were made present in red and white colors. Wooden charcoal. manganese, red stones were the main materials used for preparation of colors. The paintings depict social life, hunting, animal fights, burials and religious rites of different cultures. Some rocks are specially dedicated for wild animals with drawings of tigers, wild boar, elephants, rhinos, antelopes and monkeys. The Cuevas de las Manos cave series in Santa Cruz province of Argentina also known as ‘cave of hands’. The cave named after paintings of hands dates between 9000 and 13000 years ago. The caves also contain paintings of hunting scenes, animals, geometric shapes and zigzag patterns. The drawings are made by ancestors of the Patagonia region in Argentina. The site became a UNESCO world heritage site in 1991. 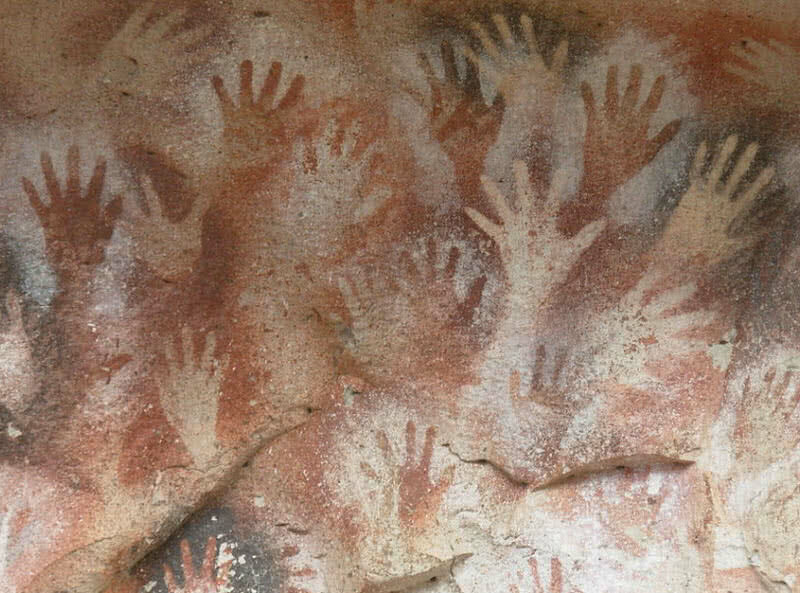 Most of hands in the ‘cave of hands’ are left hands. Archaeologists believed to be the drawings were made by spraying color over left hand of the painter using bone-made pipes held in their right hand. Natural mineral pigments like manganese oxide, kaolin and iron oxide were mainly used for preparing colors. There are also paintings that depict various hunting techniques used by the Patagonian hunters. The Kakadu national park in Darwin in Australia contains thousands of aboriginal sites including rock arts, stone tools and rock shelters. The rock arts in Kakadu national park represent earliest human civilization, back more than 40000 years ago. The ancient art in Kakadu mainly represents hunting, ritual ceremonies and social life of the different inhabitants of life from different period of time. 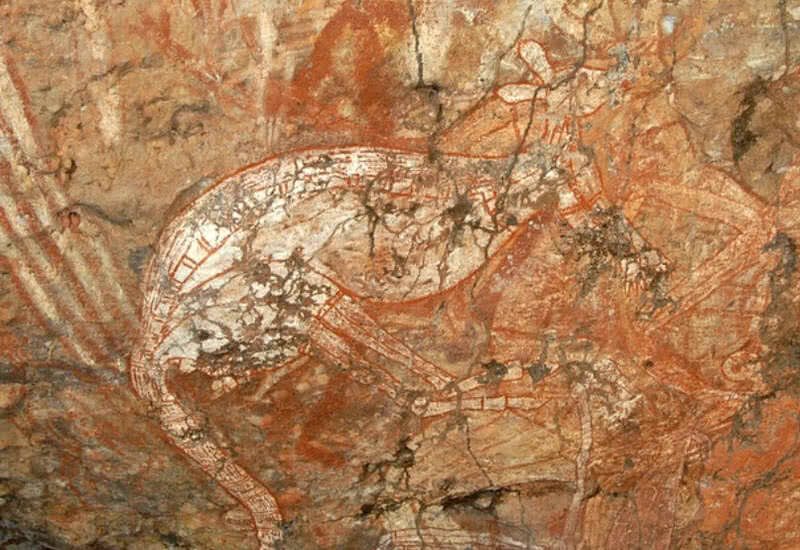 The oldest paintings in Kakadu park dated back 20000 years. The most recent rock art in the Kakadu national park was painted back in 1986. The Ubirr, Nourlangie rock and Nanguluwur are the most popular art sites in Kakadu park, main shelters of aboriginal people. Tasmanian tiger, catfish, mullet, goanna and snake-necked turtles are the main animals depicted in rock arts of Kakadu. There are also paintings that represent the mythical beliefs of the ancestors of Kakadu. Magura cave in the Vidin province of Bulgaria is one of the largest caves in the country. The walls of the cave decorated with outstanding paintings date back to Neolithic and early Bronze age period. The paintings depict deities, animals and hunting techniques of ancestors of the site. There is also a solar calendar on the wall of Magura cave that represent 366 days and five different festivals. It is the oldest known solar calender discovered in the European continent. The Magura cave also contain a number of geological formations including stalactites, stalagmites and cave pearls. Chauvet cave in Southern France consists of one of earliest best preserved cave arts in the world. The rock paintings in the site date between 30000 and 32000 B.P, during Aurignacian period. The wall of the cave decorated with more than 1000 images of the ancestors of last stone age (between 50000 and 10000 years ago). The cave has remained hidden from the outer world since 20000 B.P. It was rediscovered by a group of speleologists in 1994. Besides outstanding paintings Chauvet cave also contain fossilized remains and other human evidences. UNESCO recognized Chauvet cave as a world heritage site in 2014. 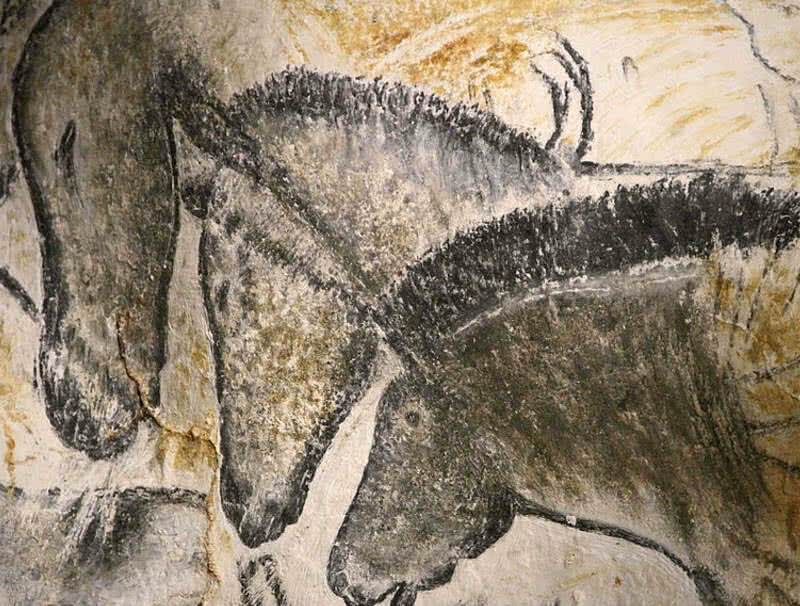 The paintings of the Chauvet cave predominantly feature animals, represent mammoths, cave lions, panthers, cave hyenas and bears. A few rare ice age animals also depicted also depicted in the paintings of Chauvet cave. The impression of movement of a number of figures also represents through incising around the outlines. The paintings of Chauvet cave also feature three dimentionality and combination of painting and engraving. Cave of Altamira in Northern Spain is the first site in the world to feature upper Paleolithic cave paintings. The paintings are also one of best preserved cave paintings in the world as the inner walls of the cave are safe from climate influences. The paintings represent wild mammals and human hands. The rock fall which sealed the cave entrance before 13000 years ago also became a factor for the rock paintings to remain to be in best preserved state. A number of mysterious signs were also depicted on wall of Altamira cave. The Lascaux cave complex and a world heritage site in Montignac village of Southwestern France is globally popular for it’s cave paintings of the Paleolithic period. Lascaux contain more than 2000 cave paintings. The Lascaux cave paintings are estimated to be 20000 years old. The paintings depict animals, human figures and abstract signs. There are a number of sections within Lascaux cave complex named great hall of bulls, lateral passage, shaft of the dead man, chamber of engravings, painted gallery and chamber of felines. The great hall of bulls is the most popular section within Lascaux cave complex, represent four black bulls. The painting of 17 feet long black bulls within the section is the largest animal figure ever discovered in cave art. The paintings of different animals in Lascaux cave also feature impression of movement. 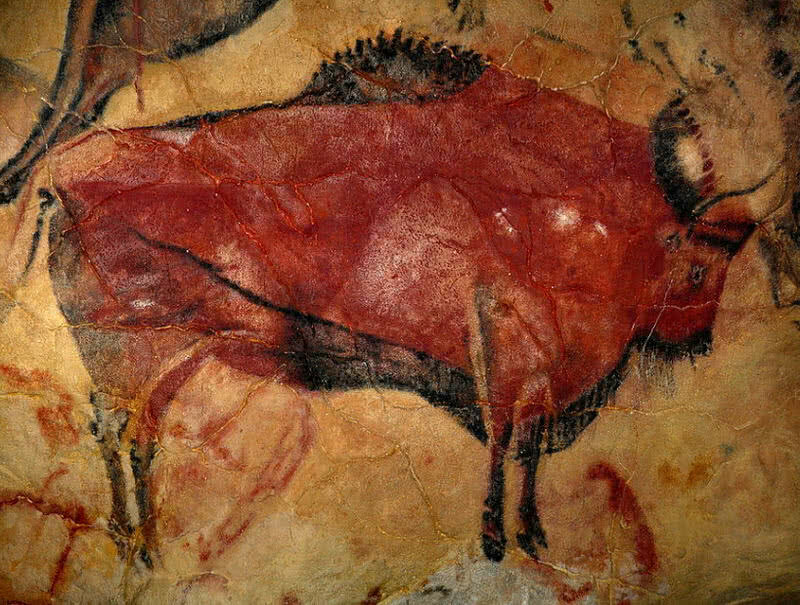 Natural pigments were by Paleolithic people for preparing color for rock paintings.